Social media management is fast becoming a standard component in any organization’s marketing and public relations activities. 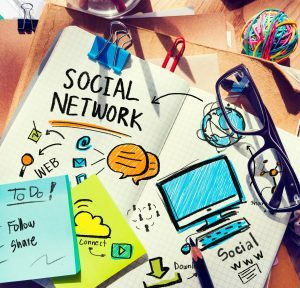 Social media management and elsewhere is crucial for the efficient and effective use of social media to listen, interact, engage, and collaborate with clients, customers, and other interested parties. If you’re a business, organization, or agency in central New England that uses social media as part of its ongoing daily activities, The Social Julie provides expert and experienced social media management. The Social Julie can help you manage outbound and inbound online interactions to develop leads, stay on top of requests, and generally engage with your target audience. Social media management solutions by The Social Julie streamline and consolidate ongoing online communications through relevant social sites such as Facebook, LinkedIn, Twitter, Pinterest, YouTube and Instagram, as well as blogs, forums and other channels. Social media management services by The Social Julie are designed to help small-to-medium sized businesses stop worrying about day-to-day social media activities and focus instead on what they do best. The Social Julie uses the latest social media management tools to automate and monitor the process of delivering your outgoing messages through multiple social media outlets to ensure your organization is delivering timely and valuable information of interest to your target audience. As part of its social media management services, The Social Julie can assist you with integrating social media activities with any other online marketing campaigns and activities such as search engine optimization, webinars, and short video production to promote your products and services. To learn more about personalized, ongoing social media management service and a free initial consultation, contact The Social Julie today.